20" x 80 Gauge x 1000' Black Goodwrappers Colored Cast Stretch Film. Goodwrappers stretch film system is the easiest and fastest way to hand wrap pallets. 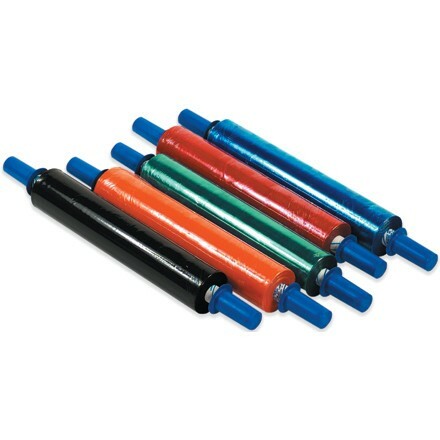 Quiet, color-tinted cast stretch film is great for identifying, unitizing and stabilizing shipments. Colors are easy to see through yet provide enough tint for easy identification. Built in disposable handles prevent friction on hands. Patented dispensing system provides tension control for maximum film stretch to save on film. No assembly required. Ready to use out of the box.